Need a new skullcap? Replacing a body protector? Buying a whip? Then read on! 1. A skull cap is approved by the Authority if it meets (BS) EN 1384: 2012, CSN EN 14572: 2005, BS EN 14572: 2005, PAS 015: 2011 or CSN EN 1384: 2012. 6. A safety vest must conform to (BS) EN 13158: 2009 or CSN EN 13158: 2009. 7.2 attached to the horse or any equipment carried by the horse. 13.2.4 the flap must have similar shock absorbing characteristics to that of the contact area. 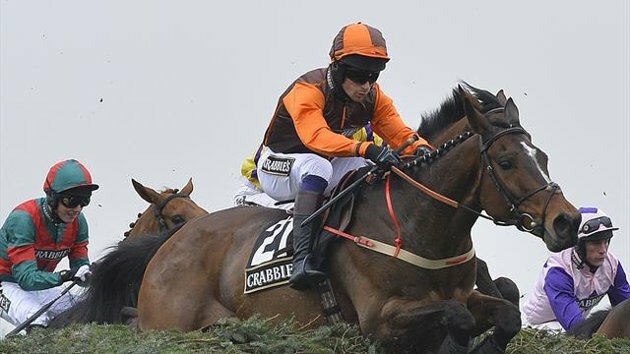 An historic Good Friday saw Musselburgh include a mixed amateur race in their first ever day’s racing on this Bank Holiday which resulted in a day to be remembered for amateur Hattie Heal. Having made the long journey from Somerset with her mother’s BALLYHEIGUE trained by Liam Corcoran for only her 5th ride under Rules, Hattie just held on to win by a short head in a thrilling finish. Many congratulations to connections. With the retirement of Nick Gaselee at the beginning of the year, the AJA are delighted to announce that former amateur rider Mrs Anthea Morshead is to join their board of directors made up of Dr Philip Pritchard (President), Bill Shand Kydd (Vice President), Bob Davies, Richard Dunwoody and Sara Moore (Company Secretary). 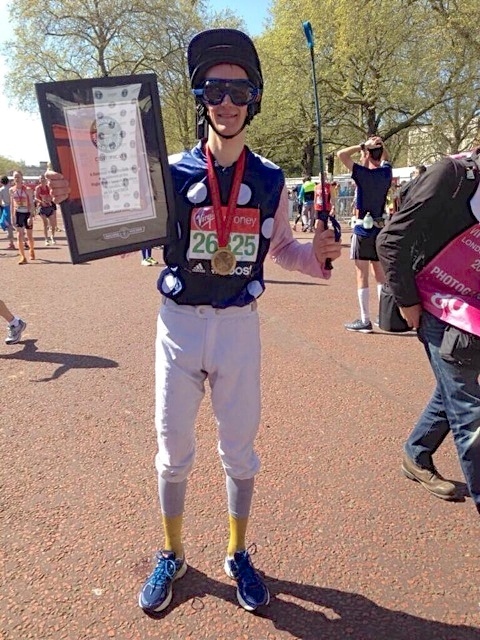 Congratulations to amateur jockey Ross Birkett, son of Newmarket trainer Julia Feilden, who has set a new Guiness World Records title for the Fastest Marathon dressed as a jockey, reaching the finish line in 3 hours 8 minutes and 30 seconds. This was a huge achievement for Ross, who broke his foot only 6 weeks ago! He wore breeches, silks, a helmet and goggles and had to carry a whip for the entire 26.2 miles and his time was incredible. Well done Ross! 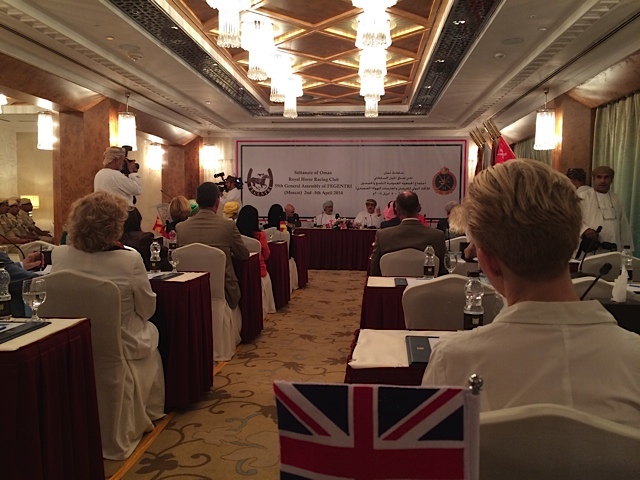 So far this year in this fantastic Ladies Pro/Am Arabian Series Great Britain has been represented in Oman (Michelle Edden), Australia (Aly Deniel won), St Moritz (professional Lucy Alexander 2nd) and Texas (Joanna Walton). 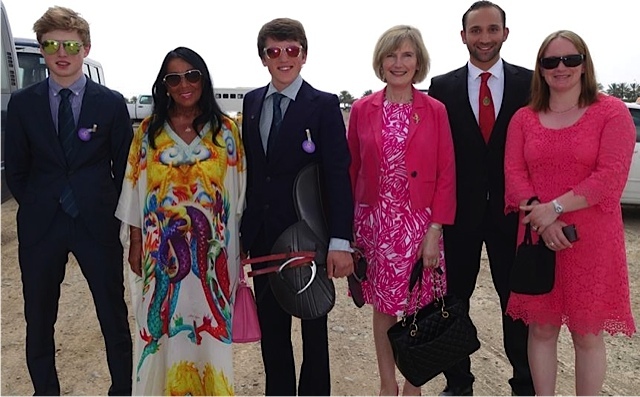 The 5th race of 2014 takes place in Casablanca, Morocco on Friday 11th April and we will be represented by Serena Brotherton. The series then moves on to Toulouse a week later. Conditions of this series now ask for ladies with at least 5 wins to be able to ride at 9 stone. Winners can be either Arab racing, point-to-pointing or under Rules, or a combination of these. Girls who have already ridden in the seres are ineligible. If you are eligible and would like to ride in this series please e-mail sph.oliver@btinternet.com as soon as possible. 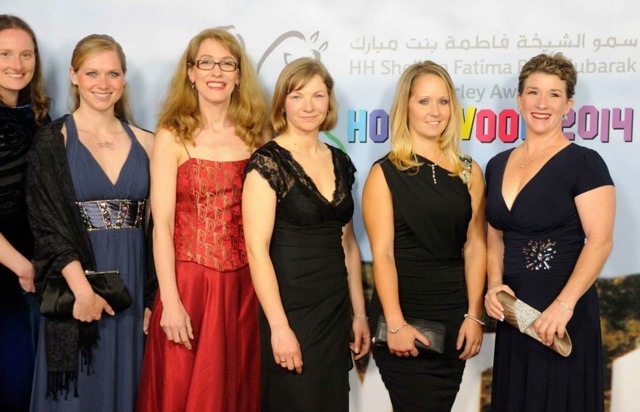 Our FEGENTRI representative 2011 Rachel King, who recently emigrated to work in Australia, was nominated by ARO for the Darley Ride of the Year 2013 and invited by Lara Sawaya to attend the HH Sheikha Fatima bint Mubarak Darley Awards evening in Hollywood USA on 4th April. To her delight, Rachel’s long journey was well worthwhile as she won! 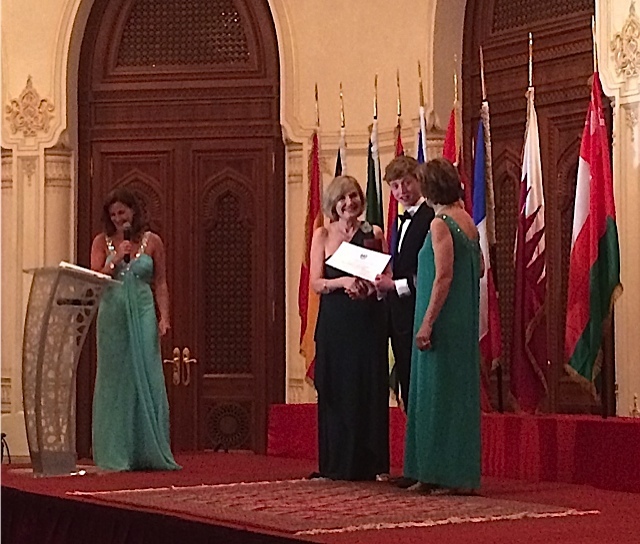 Many congratulations to Rachel on winning this prestigious award in recognition of her skills in the saddle. 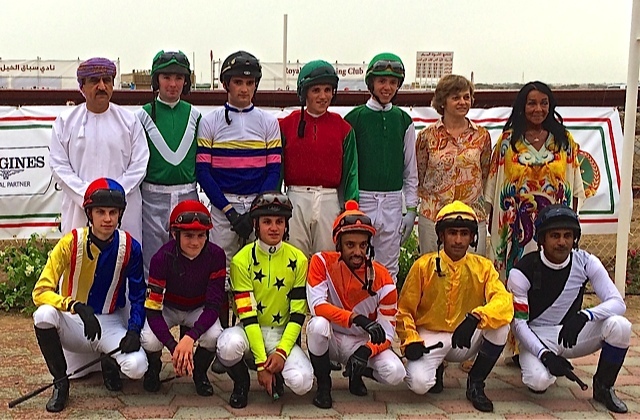 Huge thanks also to Lara Sawaya for her fantastic support of lady jockeys worldwide with her global ladies Arabian series which also strongly supports amateur clubs worldwide. 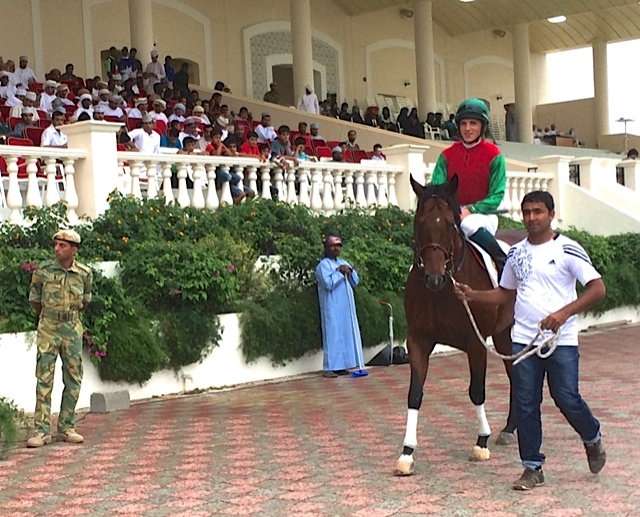 The first of a 2-day race meeting was enjoyed in Oman today with the gentlemen’s race including GB Fegentri rider Freddy Tett. En route to the racecourse lunch was provided in a bedouin tent in the dessert. 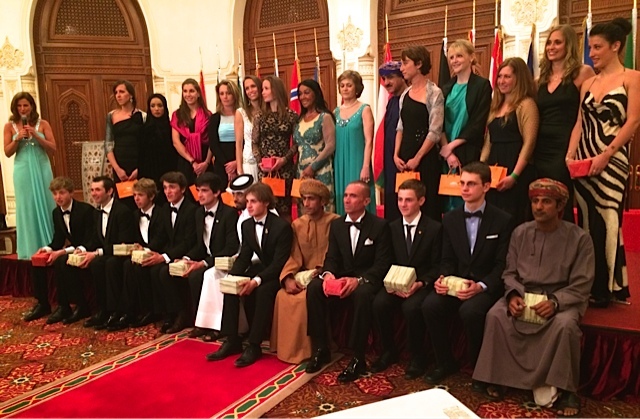 Racing was followed by the Fegentri Gala Dinner in Muscat where Freddie Mitchell, last year’s gentleman representative for Great Britain, received his golden spurs for achieving the Fegentri World Championship for gentlemen. 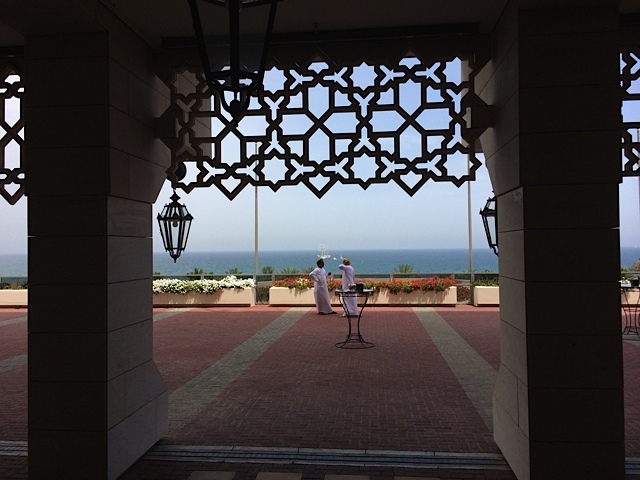 The Fegentri 2014 AGM was held in Al Bustan Palace in Muscat, Sultanate of Oman, on Thursday 3rd April by kind invitation of Brigadier Abdul Razak Alshahwarzi, Commander of the Royal Cavalry, Oman. 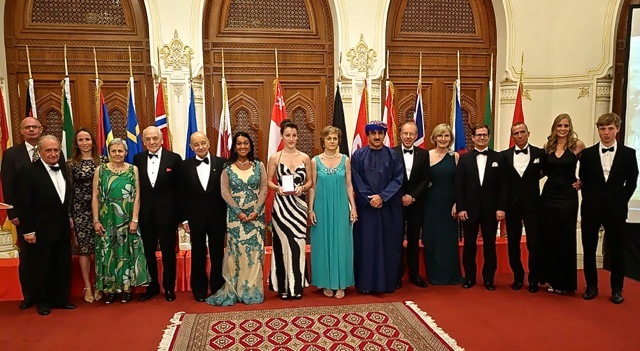 An opening ceremony presided over by the Sultan of Oman took place before the AGM when Fegentri President Madame Nathalie Bélinguier announced the recent sponsorship she had negotiated on behalf of Fegentri with Longines with a 5 year term. 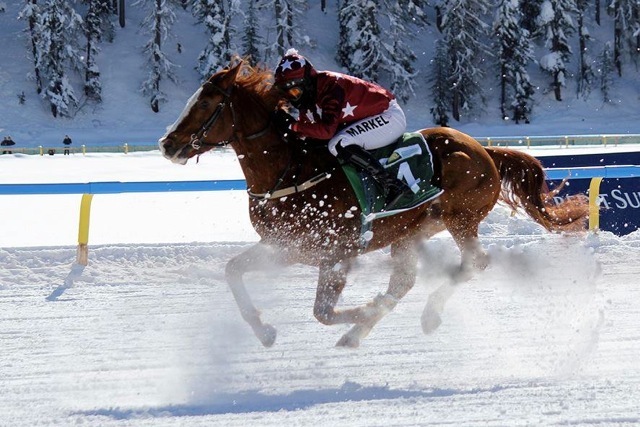 This sponsorship agreement asks for all host racecourses of Fegentri races worldwide to display Longines/Fegentri banners on-course and for winning horses to wear Longines/Fegentri rugs. All board members stood for re-election and with the retirement of France’s Baron Jean de Bretizel, France nominated their new amateur club President, Gérard de Chevigny. In addition Susan Leahy, President of the Irish Qualified Riders, put her name forward. After votes were cast, it was announced that all existing Board members stand (including Sarah Oliver of the AJA) and that Susan Leahy joins the Board for the new 3 year term. Many congratulations to Susan. The Fegentri General Assembly will be hosted by Norway in 2015 and by Germany in 2016. 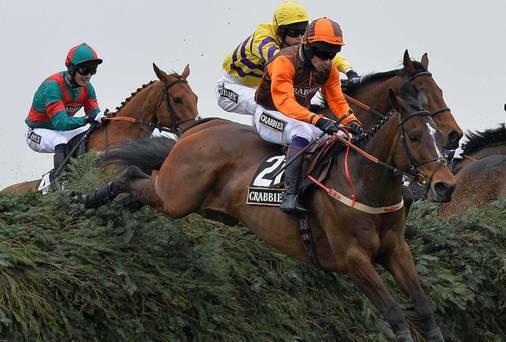 A perfect preparation for Saturday’s Grand National bid with LONG RUN was enjoyed today by Sam Waley-Cohen when his new recruit WARNE carried him to victory in the Fox Hunter’s Chase. Managing to avoid loose horses for most of the way around, WARNE gave a thrilling display leading from start to finish and passing the post 13 lengths ahead of last year’s winner, 14 year old TARTAN SNOW. Favourite MOSSEY JOE (winner of his last 5 races) finished in third place with his rider Damien Skehan picking up an 11 day whip ban. 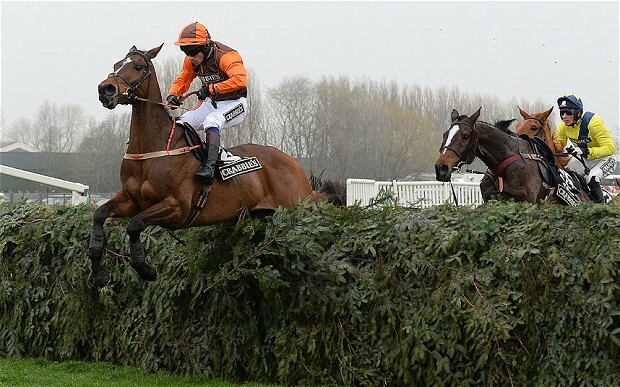 This was a third success in this race for Sam, riding a horse purchased recently by his father Robert with three American friends who include Charlie Fenwick, the amateur who won the 1980 Grand National on BEN NEVIS. 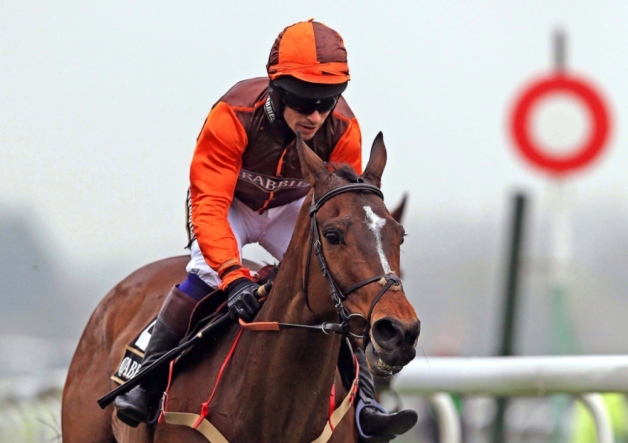 Downpatrick Trainer Brian Hamilton said that winning connections would probably bypass Punchestown now and aim for the Galway Plate. Many congratulations to them all.